“Virtual reality” the next big thing in the technology market and “Siri” from the Apple is one of the best when it comes to virtual assistance. 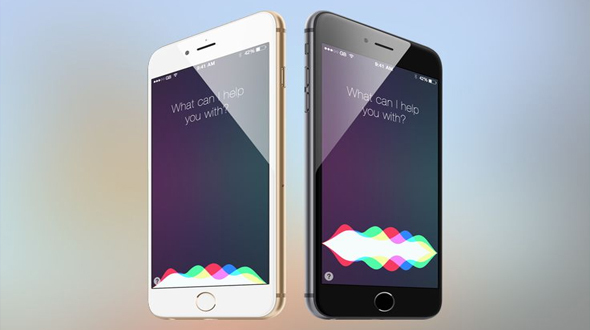 Siri is the Apple’s voice-controlled digital assistant for iOS. On one hand, she’s quite helpful when I need to do things like set reminders and composes text messages. Voice assistance application like siri (Google Now and Cortana are also in the market for Android and Windows respectively) is very handy and useful app. This can be useful and timesaving tools for getting things done and finding information. You just have to be willing to put in a little time and effort to better understand what Siri does and train her to be a smarter assistant. Apple is continuously working to improve Siri and now it has covered a long distance compared to what it was, when launched. Today we have brought some cool tips about Siri which will help you to use it in a great way. Don’t get irritated when Siri makes mistake, correct her! While learning, everyone make mistakes and Siri is not exceptionJ. The first couple of times Siri misunderstands your commands, you’ll probably want to scream and drop-kick your iPhone. But have a little patience and give her a chance to learn from the mistakes. If Siri misinterprets something, swipe down on the screen to reveal your initial command and then use the “Tap to edit” to correct the statement or question. Not only will she return with the new results but she’ll also remember the correction to provide better performance in the future. Yes, this is one of the biggest problem Siri Users complains about. We would suggest don’t get irritated when the pronunciation of Siri is not correct, rather I would suggest teach her about the pronunciation of that word. To teach her you have to just say “That’s not how you pronounce his/her name.” Siri will then ask you how to pronounce their first and last name and give you three different options to choose from. Once you’ve made your selection, Siri will use that pronunciation from then on. Along the same lines, you can tell Siri how contacts are related to you, so you can say things like “Call my husband” instead of “Call Ryan Gosling.” To do so, say a command like “Text my boss,” then Siri will ask you, “What is your manager’s name?” Or you can say, “Walt Mossberg is my boss” and Siri will add that relationship to her records. The most common way to activate Siri is by holding down the Home button for couple of seconds. But there’s also an option to launch the app by lifting your iPhone up to your ear. This will only occur when you’re not on a phone call. If you prefer this method, go to Settings > Siri and then turn on Raise to Speak. Another timesaving feature of Siri is her ability to search through your emails and notes. If you’re looking for a specific message about a work project, tell Siri, “Find email about Q3 projections,” and she will retrieve any relevant emails, telling you how many related messages there are for that specific subject/sender dating back to the first record. You'll sound a little silly, but using punctuation (and smileys) is as easy as saying the punctuation. For example, "Hey comma how are you question mark smiley face" will turn into "Hey, how are you? :-)"
As a human Practice, some time we forget what Siri has said for the particular question. To recall an answer she gave you earlier in the conversation, just swipe down to scroll up. When you're drowsy and slipping into slumber, it's appropriate to feel too lazy to set an alarm. So, let Siri do it by saying "Set my alarm for [time]." Don't let Siri stop you from being social. If you've set up your Facebook and Twitter accounts on your iDevice, Siri can handle status updates. Just say, "Tweet [insert tweet here]" or "Update Facebook [your message here]." Siri can even understand hash tags, so "Tweet Go USA exclamation point hash tag world cup" turns into "Go USA! #worldcup." Can't decide? Let Siri handle it for you. Just say, "Flip a coin," and Siri will randomly populate heads or tails. And, she's so authentic that sometimes the coin falls in the crack of her virtual sidewalk. We all know that playing with your phone while driving is dangerous. If you must check your messages or voicemail, Siri can be a better option than looking down at your screen. Use commands like “Read my latest email” or “Play my voicemail” and she’ll read them aloud, and give you options to dictate a reply or ignore.